Bright lights are glowing in the incredible city of Shanghai in China. Take a road trip through the city. You will love this video loop as a motion background, a nice clip to add to your footage library. 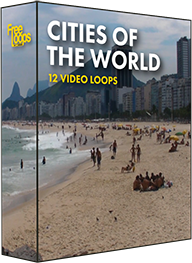 This video loop is part of Cities of the World.